I began by making a whole bunch of flowers and leaves from the Fabulous Floral and the Bride-to-Be stamps & die sets. Once I got started, I couldn't stop! I also used Altenew Ink pads - I love the packs of four in monochromatic colors so I used the sets to make the flowers and mixed in just a few more Studio Calico inks for even more shading. Once I had all of the flowers and leaves made, I had to figure out what to do with them! :) I thought about making a frame around the edges of a smooth white cardstock background, but I didn't have enough flowers. So then I piled them on the top left and bottom right corners and spread out the smaller leaves to the edges. Fun! I took a picture with my phone to remember the gist of the placement and then took everything off to do some mixed media. I used the Floral Drape Stencil to add modeling paste around the edges for another layer and texture. You can see these flowers peeking out from under the stamped flowers. Once the modeling paste dried I referred back to my phone and attached all of the flowers and leaves using foam squares for dimension. Then I placed a picture of Jane on the bottom left corner, tucked into the leaves. I love how the blue of her denim dress echoes the blue stamped flowers. 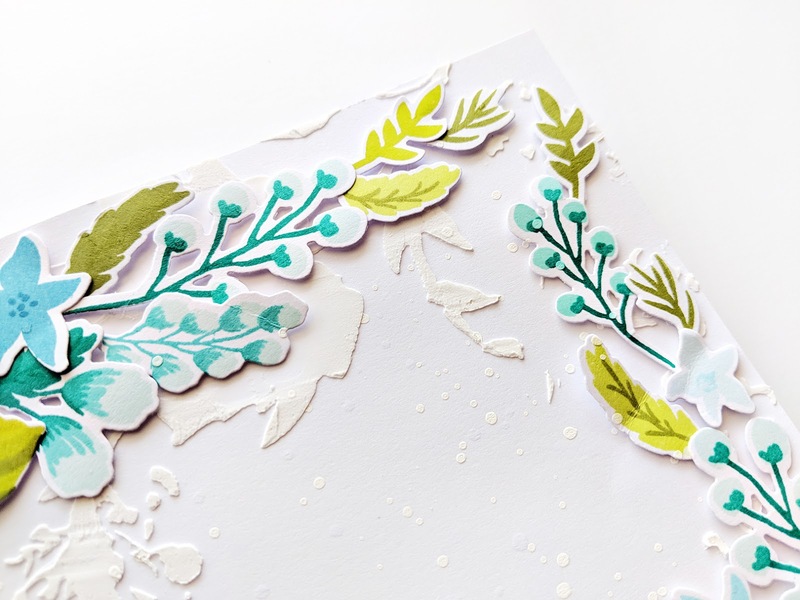 To create the title I die cut and stamped the "YOU" from the Botanical You sets using the same layering inks method as the flowers. The "make my heart happy" stamp is also from the Botanical You set which I tucked underneath to complete the title. In the big open white space in the middle of the layout I splashed iridescent spray mist and splattered white acrylic paint. Once that dried I used a pencil first to draw journaling lines on the top right corner, didn't like it, so I erased the lines and tried again above the title - much better! I went over the journaling with a .03 black precision pen. And that's it! I worked on this layout sporadically over the course of 4 days and it probably took about 8 hours in total because of all the stamping. Worth it! And now for the giveaway! To celebrate this release Altenew is giving away a $30 gift certificate to one lucky winner! Leave a comment here by Friday May 25th for a chance to win and check back then to see if you're the lucky lady! 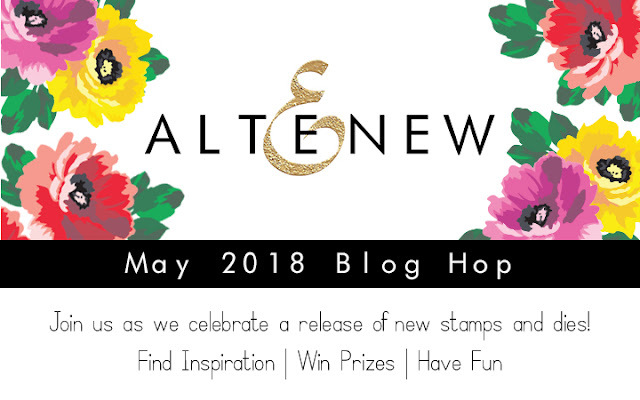 Altenew is also giving away a $50 gift certificate to 6 more lucky winners: leave a comment on the Altenew Card Blog and/or Altenew Scrapbook Blog by Friday, May 25th for a chance to win. 6 winners will be announced on the Altenew blogs on 5/27/2018. Thank you to everyone who entered and left such nice comments! Another Altenew giveaway coming in July! The layering is stunning. Love what you created. Oh my goodness... this should not be in a scrapbook, but rather framed and put on your wall! gorgeous! Wow! That's all that needs to be said except may wow again! All those glorious flowers - wow! So bright and beautiful. That is so pretty. I love all the layers. Your stacking of flowers is stunning! The added dimension with the paste is a subtle, beautiful touch! The flowers are so amazing!! Wow! Your flowers are just gorgeous! Love the layering, so beautiful!! Love your process video and the result is lovely. loved the bright bold color palette!! Wow Paige! That is a gorgeous layout! I love all the flowers! Thank you for the inspiration! So beautiful! Love this layout!! Your daughter is precious!!! Gorgeous! Love your multi-flower layout! Such a bright and cheerful layout! Your daughter is adorable. Your layering and colors are amazing. Thank you for the inspiration! Love the new release! Your layout is absolutely STUNNING! 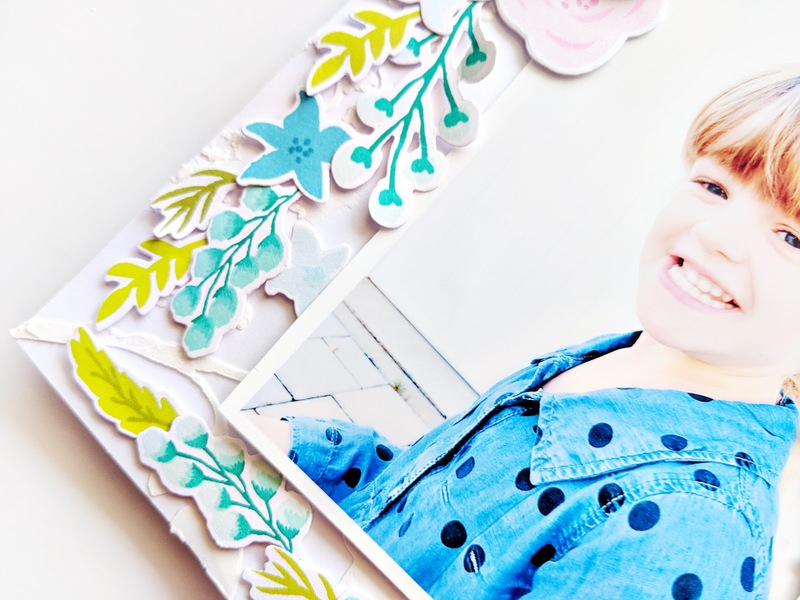 What a fabulous job you did, a gorgeous layout for your adorable daughter. Enjoyed your video, TFS! Wow! 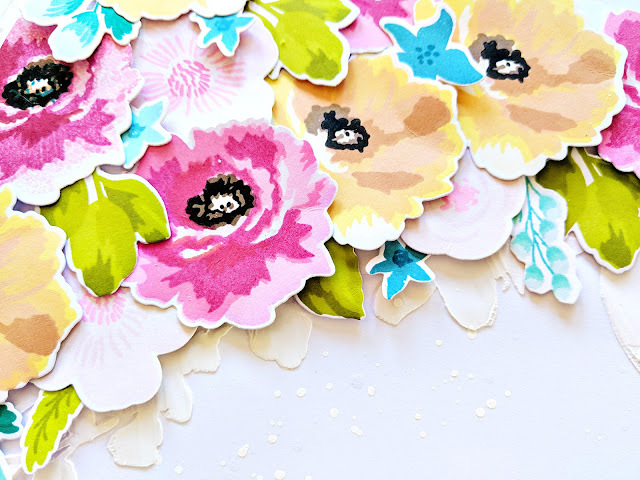 I love how you used the embossing paste underneath all the stamped flowers....def going to try this! Beautiful layout and what better products to use than the great flower dies and stamps from Altenew. Great job and great release! Such a beautiful layout! All those flowers and layers added some wonderful texture and dimension to your page. The Botanical You was the perfect touch! That is a very pretty page! This Bride to Be, and Fabulous floral sets are stunning as you have used them on this gorgeous layout! So many layers and layers of beauty! Watched your process video and think the textures and dimensions are the best! lovely samples and good release. This is a wonderful layout. I get so excited to scrap the milestones in my kids and grandkids lives. And they get so excited when they come to visit and want to see their book and the new pages that I've added. I love doing it for them. They will have them for generations to come. WOW!!! love all the flowers on your layout! So much work went into this layout, and it is LOVELY! Love all the layering with the colorful flowers! Very pretty. The flowers are really beautiful! Just gorgeous! Great new line. Always love the layering flower stamps. Make such elegant cards. You make life easy choosing matching inks too. Love your inks. What a beautiful layout--love the colors of the flowers. You made a virtual garden with all the layering...just beautiful. Amazing layout! I just can't get enough of those flowers! Beautiful flowers. Love your use of space and color scheme. Lovely, layered flowers! So show-stopping!! Love that little cutie in the corner. What a sweetie! Oh my goodness, it is a floral explosion! Absolutely wonderful. So pretty - love how generous you were with the flowers!! What a stunning layout! Great job! Love the layout. It is so colorful it makes me smile. gorgeous layout for that darling little girl!! WOW! What a gorgeous page! Love the layers upon layers of pretty flowers! So cheerful and bright! Great way of showcasing all the pretty images! This is amazing! What a gorgeous page! your layered flower are so pretty! Oh my goodness, what a gorgeous layout! Love all those layered florals and how you framed the layout with them! Such a beautiful layout... All those flowers cant take anything from that huge smile! so many great products and ideas this release. thanks as always for sharing. Wonderful Flowers! Your little girl is very cute, too! What a gorgeous layout! The flowers and colors are just gorgeous! 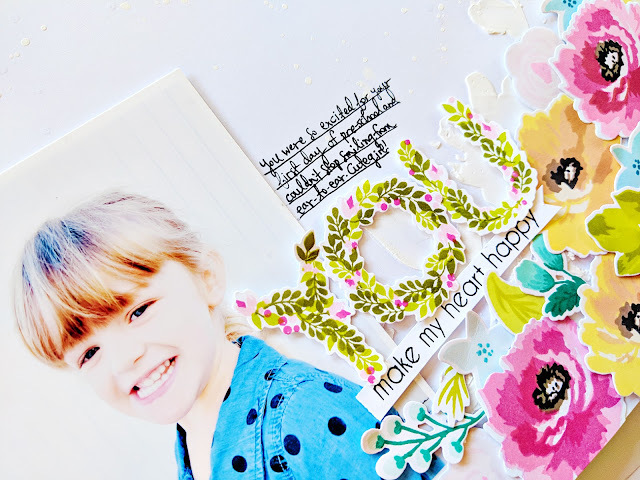 Oh my, Paige, your layout is a show stopper....all those flowers surrounding your adorable daughter - perfection!! Love all those beautiful flowers surrounding the photo on your layout! Really draws the eye to focus on the sweet girl. What a gorgeous layout. The flowers are amazing! SO PRETTY! Love these flowers! I knew you were a whiz with paper, but stamping too?! Gorgeous page! LUSCIOUS scrumptious goodness and LOVE filled pages here! I HAD to see all of the inspiration with these amazing NEW products!! So great to have taken part as a guest with you on this Release! Hi Paige, Love your layout, those flowers are so nice, great new release from Altenew, Cheers Anna. Such a nice layout! Love all the layered flowers! That botanical You is really unique and nice. Sweet layout! Love those beautiful flowers! Lovely layout! 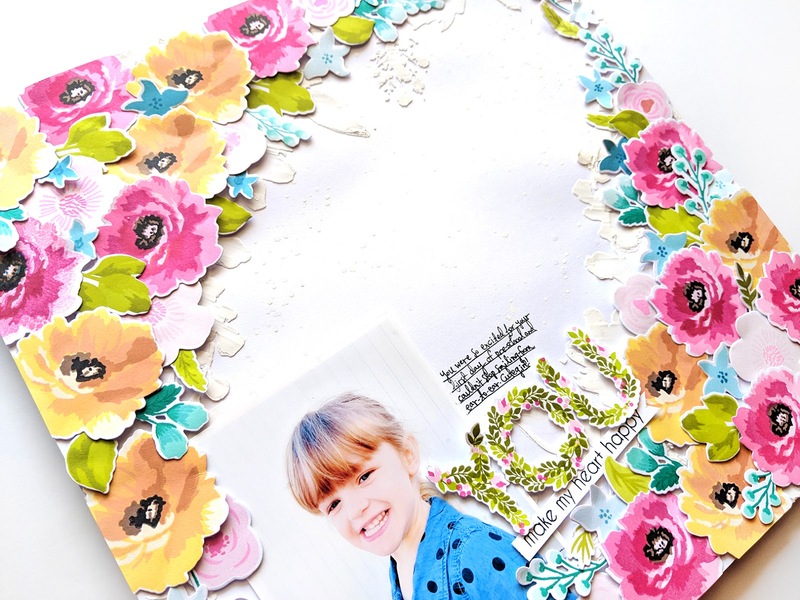 The artistry with which you layered the flowers, leaves and stems is amazing and perfectly frames that cute photo of your daughter. Gorgeous layout and I love all the colorful flowers. Beautiful job. What a beautiful scrapbook layout....love flowers and the little girl is gorgeous! what a beautiful colourful Layout. This is just GORGEOUS!!! I am IN LOVE with those flowers and that adorable photo of Jane!! Her smile always makes my day happier!!!!! What a fantastic layout! I love all the depth and color. Wow! Lots of stamping, die cutting, and gluing. Great scrapbook page. Loving this layout Paige! Another Altenew stamp I need in my stash! Your pages are so so very gorgeous! Love the flowers and how you put them around the page and photo. It's so nice seeing stamps used on scrapbook pages! I need to remember to do that more often! Thanks! I think your colors are my new favorite! Your layout is stunning! Wow! What a border :) Thanks for sharing! Can’t wait to watch the video, awesome layout!!! I love the dimension you achieved on your layout by layering all of your floral images. the "YOU" stamp and die sets are among my favorites of this release. Your subject is darling! Gorgeous layout that will be precious memories for years to come. You were not kidding when you said you stamped out a bunch! I would have probably collapsed around flower 10. I love how when you got to the flower arranging you said "Now this is the fun part!" because that is the hardest (and very not-fun) part for me, so I appreciate you spending some time on that in the video. But wow, were all your efforts worth it. What a lovely layout and a precious memory for your little one. I like how you matched some of those sprigs to her shirt; it really brings the whole piece together. Thanks so much for sharing all your hard work with us! Wow, what a standout! Love these sweet bright posies! Just so beautiful. 💛 Your color palette just makes the page sing with cheerfulness! 🌺 Happy girl and happy mommy! Thanks for showing us all the many possibilities with these amazing new Altenew stamps and dies! Such a great layout. Gorgeous! So pretty - love the flowers and the layers. Beautiful page... oh to be surrounded by all those gorgeous blooms! Lovely. Wow! I just love all those gorgeous stamped flowers! The layers of color are just beautiful! Stunning! Such energy in the colors and blooms! Sehr gut! My hubby grew up in Germany so we love the culture there. Love your layout with so much color and dimension. As an avid memory keeper, I'm excited to see a stamp company promoting scrapbooking. Thanks for sharing your lovely design. I'm in love your your style! So bright and vibrant! Oh Wow!! A barrel full of beautiful bright colored flowers!! Beautiful layout!! What a beautiful layout, love the colors . Wow! This is an amazingly beautiful page! You are so talented! Love the use of the Altenew stamps and dies! All that stamping resulted in a beautiful layout. Thanks for sharing. 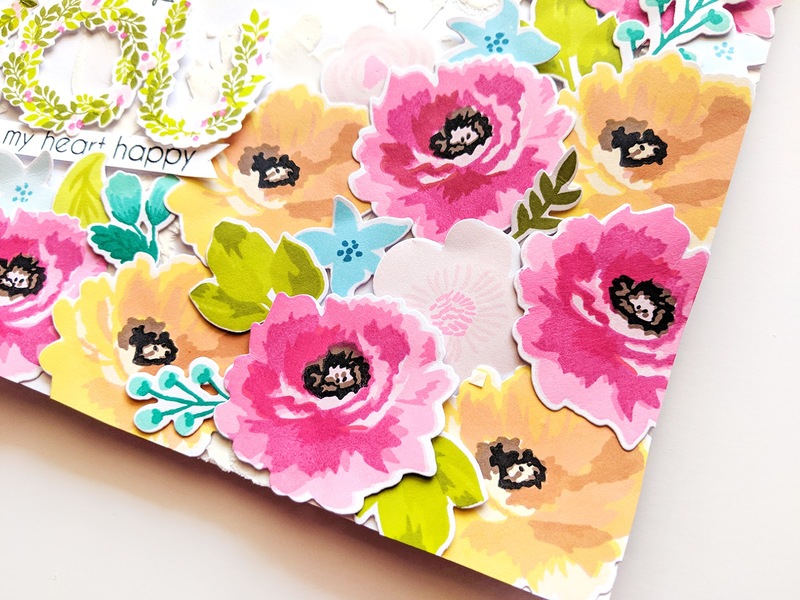 Gorgeous layered flowers on your pretty page, wow! A truly beautiful page! Love all the layering, those gorgeous blooms & the perfect caption! Gorgeous layout! I love the colors and dimension. Beautiful layout. Love the bright colours. Stunning layout and the vibrant flowers are incredible! Gorgeous page. I love the layout and the colors are stunning. So pretty! I love the layering of the flowers. They are beautiful stamps! I absolutely love your work. This is so beautiful. There is so much color on this page but at the same time it does not seem like enough; as if that is possible! I love the colors and while they are bold and bright, they really compliment your daughter's smile so well. What a wonderful page and she will truly appreciate this one day. You should add your feelings to a note and tuck it into the back so she will know how you felt when she went off to school for the first time! Thank you for the wonderful page layout! Beautiful layout! Love the dimension! This layout is gorgeous...love the layering of the flowers. Wonderful page! Love how you used the stamps and the pretty flowers. Absolutely love your layout page! Beautiful coloring and layering! Your colors pop. Gorgeous! Fun and lively colors on your layout! What a gorgeous floral layout - especially love that skillful layering! So much work and so worth it! Stunning!